Excellent quality contrast T-shirt by HENBURY. These polo T-shirts are madeusing 65%Polyester & 35%Cotton providing comfort and quality. These come invarious colours ideal for summer wear from the brand HENBURY - fabrication of 65% Polyester, 35% Cotton - Its ideal for work wear or just casual wear. 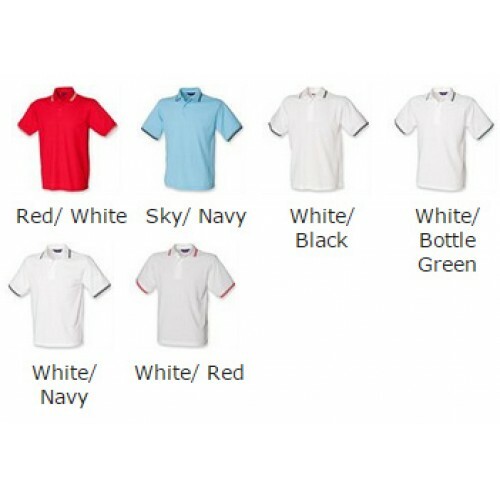 The material is 200 GSM making it a good quality polo shirt and ideal for your custom logo embroidery. We have a wide range of sizes on offer which include XS, S, M, L, XL, 2XL (32/34"", 36"", 38/40"", 42"", 44/46"", 48"") "